First African American to hold the title of an Academic Dean at Temple University (1978). 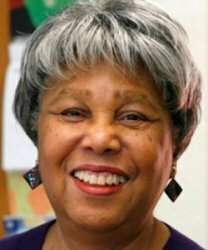 This pioneer served as the Associate Dean and Dean of the School of Social Administration for 17 years. She was then promoted to roles as Acting Vice Provost for Undergraduate Education and became a Presidential Fellow.